Yityish Aynaw (22), a former officer in the Israel Defense Forces, became the first Ethiopian-Israeli to win the Miss Israel beauty pageant. She was awarded the sash and crown by a panel of judges at the International Convention Center in Haifa on February 27, 2013. Yityish, which means "a look to the future" in the traditional Ethiopian language of Amharic, has run a fashion store since her discharge from the IDF. She immigrated to Israel at the age of 12 in 2003. Acclimating to Israel was difficult at first, Aynaw said, but she picked up the language quickly with the help of a friend. "It's important that a member of the Ethiopian community wins the competition for the first time," she was quoted by Israeli media as telling the judges in response to a question during the pageant. "There are many different communities of many different colors in Israel, and it's important to show that to the world ... I see it as a mission to represent Israel's different colors. There are not enough dark-skinned models in Israel. I hope to become a successful model thanks to the contest and create a change in the perception of dark-skinned models. I would be happy to be the first Ethiopian television host, an Israeli Tyra Banks. During the competition, Aynaw cited the slain American civil rights activist Martin Luther King Jr. as one of her heroes. "He fought for justice and equality, and that's one of the reasons I'm here: I want to show that my community has many pretty qualities that aren't always represented in the media," she said. 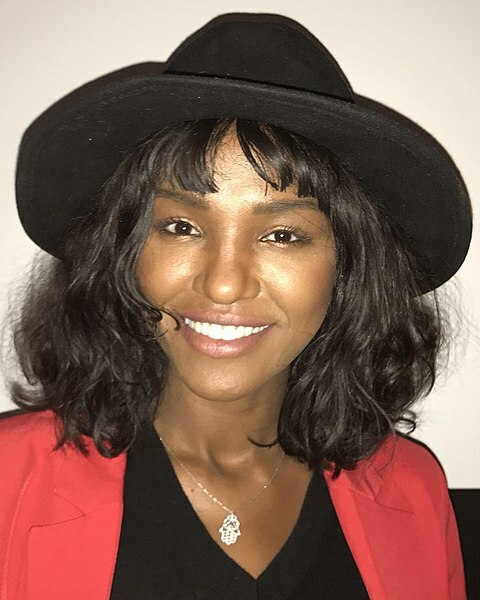 In 2013 and 2014, Aynaw traveled to the United States on tours and visited New York, Washington, D.C., and California - to name just a few places - to meet her fans and represent Israel.